I realized at the beginning of this month that I may have a problem. It’s typical for me to get stuck in a spending rut, especially after the holidays when I’ve been spending more than normal. I get caught up in the checking for sales and grabbing the good deals and forget that I don’t actually need anything and that I don’t have to buy into all the marketing. Oh, the e-mails from Gap! They get me every time. Now that it’s January, I need to re-train myself to stay away from Zulily and Amazon. I need to send the e-mails from Gap and Jo-Ann’s to spam. I need to take whatever steps necessary so that I’m not tempted to spend money on stuff we don’t really need. The problem is two-fold: there are many things right now that I feel compelled to “fix”, and I tend to be an emotional spender. In my mind, I have plenty of reasons I can use to convince myself to spend money. We’re having a baby, so I need to buy all the things. Lily needs clothes and toys. I feel cooped up. I’ll have baby weight to lose soon, so I’m going to get workout gear and a membership to Daily Burn. There are so many things out there that would make my life easier right now! Buy them all! I’ve always been this way. Typically, I buy books to learn about whatever I need to fix in my life. Or clothes. Or office supplies. Those are my go-tos in moments like these where I feel stressed or unsettled or stuck. Having a house and kids, though, adds so many more categories to the mix. It’s trouble, I’m telling you. Usually, I can talk myself off the ledge. Or read my devotional or do some yoga or something. The past few weeks, however, I’ve been going rogue a bit. Online shopping and hormones are not my friends. I had my “whoa, I should really stop this and pay attention to what I’m doing” moment when I placed an order on Zulily for literally no reason other than I was upset with my husband. I clicked “order” and immediately thought, “That was stupid. We don’t need any of that.” And I can’t return it. Awesome. I also made a pretty big error in judgment in December due to my desire to fix. I’ve been feeling a bit stuck. It’s winter, so we’re inside a lot. Plus, I’m very pregnant and can’t get around that easily. I also want to find a way to contribute to our income. So, I signed up for one of those work-from-home-promoting-and-selling-health-products companies. This woman pitched it to me in exactly the right way, saying exactly the right things. I did minimal research on the company and then ordered the starter kit. Ugh. Big mistake. David did some digging a few days later. We found out that I was totally lied to and would have to spend more money than I would earn. I am now in the process of trying to get a refund, which I will have to find the energy to fight for, I’m sure. I have a spending problem. The first step is admitting it, right? Now that I’ve realized what I’m doing, it’s time to reign it in and face the consequences. That will look like a lot of apologies to David and unsubscribing from e-mail lists. Did you get the book yet? 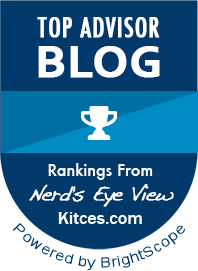 We’re a top rated blog!